Eat your coffee, coffee lovers and non-coffee lovers alike! Sweet and lightly bitter, with a deep roasted flavor. Stir the coffee and lemon juice together in a 4 quart saucepan and bring to a boil over high heat. In a separate bowl, whisk together the sugar and Dutch Gel Pectin. Add the sugar to the boiling coffee mixture all at once, and whisk vigorously for 2 minutes, or until the pectin and sugar are fully dissolved into the solution. Return the mixture to a full rolling boil, and boil for exactly 1 minute. Remove the pan from the heat, ladle into clean 8 ounce jars, wipe the rims with a damp paper towel, and screw on new, two-piece lids until fingertip tight. Use the Boiling Water Bath method to process the jars for 10 minutes. Carefully transfer to a cooling rack or a tea towel on the counter and let cool, undisturbed, overnight. After the jars are cooled, remove the rings, wipe clean, and label. 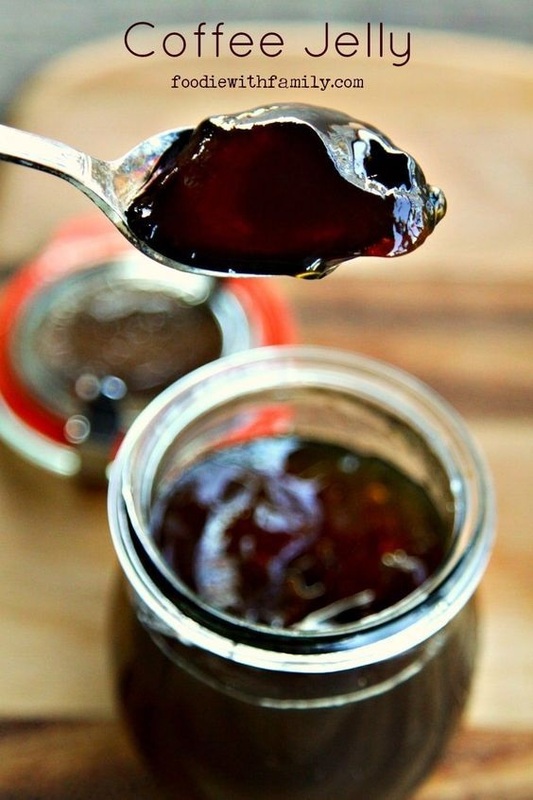 The jelly should be stored in a dark place -preferably a cool one- free of temperature fluctuations. It is best used within the year.